Another week starts in this fabulous 2016, and we are again reaching those managers and Human Resources (Recursos Humanos) guys who want to practice their business English. That of course does not mean you cannot benefit from practicing these concepts if you are not an entrepreneur or manager or human resources executive. In fact, they will help you whatever1 you do in business. We are going to work briefly2 the term ‘discretionary effort3’. What do we mean in HR4 when we use this expression? Discretionary effort is whatever performance5 the employee is willing6 to provide additionally7 to whatever he/she is contractually8 required to deliver. Who determines how much and when? The individual employee or group of employees. If they choose to make this available to management this could represent a significant additional resource to management. The only issue9 here should you want to increase the discretionary effort in your employees is that it is often linked to additional wages10. Therefore, it can potentially increase the costs of labour. Lower productivity while increased performance. Effective managers are those who are able to generate higher levels of discretionary effort from employees without having to pay for that additional commitment. Are you a manager or HR officer? Do you engage your employees to inspire them for higher discretionary effort? How do you get the right balance? 1 whatever. cualquier, sea lo que sea, todo lo que. 3 discretionary effort. esfuerzo discrecional. 4 HR. 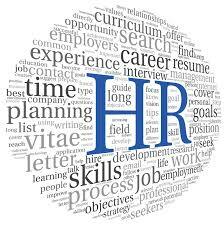 (Human Resources) recursos humanos. 7 additionally. además de, adicionalmente. 8 contractually. contractualmente, por contrato. 9 issue. asunto, tema, cuestión. Please leave your comments and share this post. Visita www.u24business.com para mejorar el inglés en tu empresa de manera rápida, rentable y eficaz. Sin categoría, U24BUSINESS aprender inglés, business english, formación, HR, human resources, idiomas, inglés de negocios, posts en inglés. permalink.